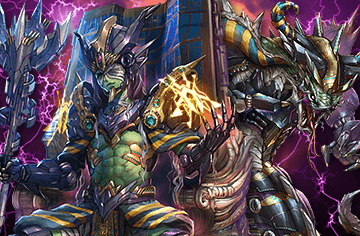 Whole new series 『Gran Radiant Descent Saga』 begins ! 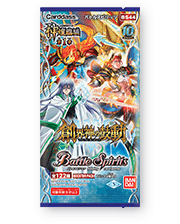 Brand new cards「GranWalker Nexus」rises to bring greater excitement to the battles ! On sale April 21 (Sat.) 2018! 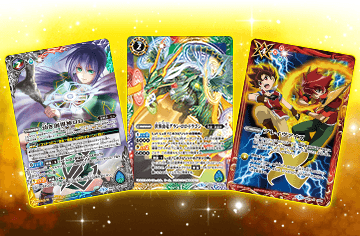 * The cards included in this pack may be used in official tournaments from April 21 (Sat.) 2018. Gran Walker Nexus Unique Point!! 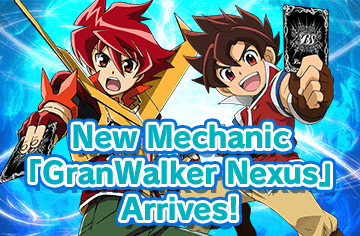 For more details on 「GranWalker Nexus」! Introduction of awesome Cards here!